If you’ve been selected for interview, it’s essential that you use your best selling techniques. After all, you’re there to convince them that you are the one for the job – they need browse no longer! To help you out just a little, we’ve put together some basic tips on How to sell yourself at interview. 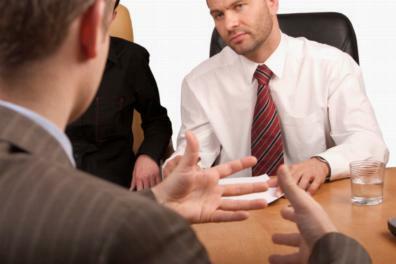 As soon as you walk through the door at an interview, the interviewer is already making their mind up about you. It’s essential therefore to make sure that you convey a positive impression from the off. What you wear, how you carry yourself, how you appear – confident, without being overly so, are all essential elements in ensuring that their first impression is a good one. Just as a sales person will convey to a customer the features, advantages and benefits of one particular product over another, you too must do this when in an interview. You must highlight what features distinguish you from other candidates. The best way of doing this is of course by proving to them what you have done in the past – your own personal achievements. Since most interviews will feature competency style questions where you are asked for specific examples of how you handled things in the past, selling in your strengths ought to be easy, provided you prepare in advance some good examples. Check our tips on how to answer some of the most common interview questions to help you do just that. Employers fundamentally want their employees to make a real tangible difference to them and their organisation. It is essential then to use your interview to prove how you can do that. Provide practical examples of how much of an asset you have been to a previous employer – be that through explaining how you managed to increase sales revenue or create and implement new and improved ways of working – the details count. Again, it is the finer details like this that can help you stand out amongst other candidates and in such challenging economic times, that is an absolute must. Although your primary aim in an interview is to get the employer to be sufficiently interested in you to offer you a job, an underlying aim is to prove to them that you are genuinely interested in them too. 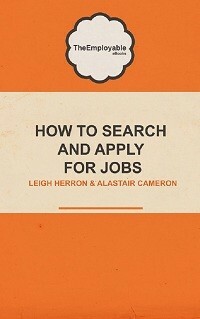 If they meet two candidates both with similar qualifications, skills and experience and who generally answer their questions in a similar way, deciding which candidate to offer a job to can come down to general rapport and how much a candidate has demonstrated genuine interest in the job itself and them as an organisation. Undertaking company research before the interview and conveying your knowledge of them as an organisation during the interview through your own responses and questions is the best way of demonstrating this interest. It is essential to bear in mind that if you are going to be successful in securing that sale, i.e. in getting that job, that you place importance on all of these elements. Your pre-interview preparation, your initial entrance, your responses to their questions, your body language and ability to create and build a rapport all matter. The successful candidate is always the one who performs best in each of these areas, so do make sure that you focus on them all, if getting the ‘sale’ is going to happen. We hope that these tips on how to sell yourself at interview do help. If you have any other tips you’d like to share, why not let us know via the comments section below. Still feel that you need more interview advice? Check out Anson Reed, specialists in online interview training and 1-2-1 Interview coaching.